Even a Weed needs a Hug, originally uploaded by Scott Thomas Photography. The devastation in Japan after the Earthquake and Tsunami looks like something out of a Hollywood disaster epic. It is hard to comprehend. The photos online have just made me heart sick. 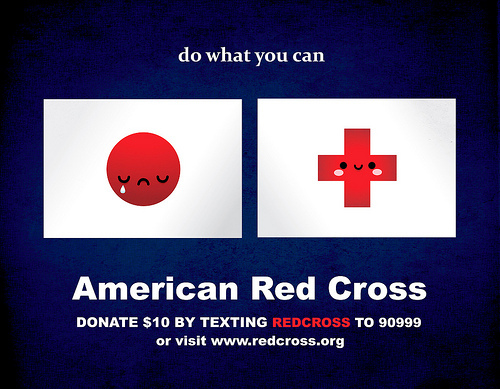 While I can not directly help the people of Japan, I did give a donation to The Red Cross Relief Fund for Japan. Or, you can use your cell phone (see below) to donate. Every bit will help to get the proud people of Japan back on their feet again. This entry was posted in Nature, People and tagged chimney bluffs, dandelion, disaster, earthquake, flickr, help, hug, japan, new york, red cross, relief fund, sodus, state park, tsunami, weed. Bookmark the permalink. I’ve had to stop looking at the images for a little while as it was overwhelming and made me heart sick, too. I know that’s a luxury the people of Japan who are living with the destruction do not have. I wish there was more I could do in addition to the donation. Thank you, Robin, and a hug. Thanks for posting this hug for Japan, Scott, and for giving us all a way we can contribute. 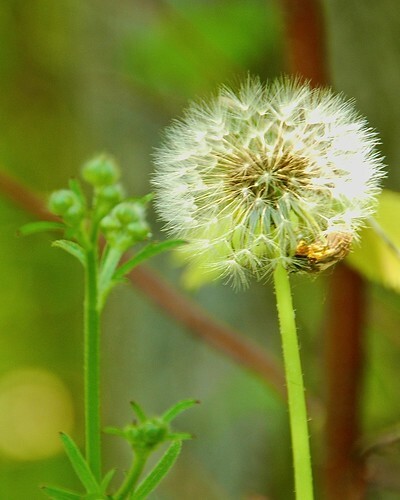 Making a wish for healing there and blowing softly on that dandelion puff. What a sweet sediment, Kathy. Thank you and a hug back in return. That is very thoughtful of you to do, Scott. As you maybe know, I have a friend living in Japan, something that makes the disaster more real to me, as I have her in my thoughts when I see video and photos or read her mails, which by the way are completely free of any complain. Earthquake or not, the Japanese people are so polite. Nice post Scott, it’s people coming together that makes a difference.